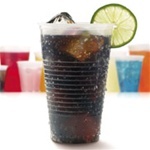 The top selling items at any ballgame concession stand or concert food stand are the drinks. So you can not afford to run out of paper or plastic or foam cups to serve your beers and cokes in. 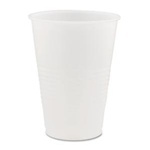 Most concession stands stock paper cups, either white or coca cola cups, but styrofoam cups have become very popular too because of their low price and insulating ability. 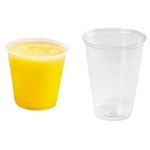 Paper cups are sturdy for ball game drinks and biodegradable as well which make them the Green alternative. And while you are buying paper or foam cups for your stand, don't forget the cup holders for carrying multiple drinks at once. We are also a top foodservice supplier of straws for concession stands. After all, many people like to drink out of a straw with their plastic cups. And don't forget your napkins as well. 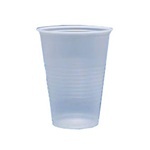 Paper cups are a concession stand product that is high volume and economical. Don't run out of cups or straws or napkins. Your guest patrons will not be happy and your sales will wilt if you run out of beverage cups. 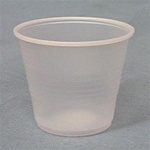 And if you are looking to cut costs on your concession stand cups, try white styrofoam cups, the most economical. Also, if you are tight on space, as most stands are, you might want to invest in cup dispensers to mount on the walls for easy reach.